A Costa Rican folktale says that once the Earth was created, God decided he should partition the regions to the different races around the globe. He gathered all his representatives and so began: the northern arctic regions he gave to the Eskimos knowing they could deal with frigid temperatures. Africa he gave to the hearty, dark skinned people that could withstand the heat and sun. And on he went. Once everyone had their region and were sent home, he noticed the campesino sitting complacently in the corner with his white hat, red scarf and rubber boots. “José, you were so quiet in the corner that I almost forgot about you. Tell you what, I was saving this piece for myself but I will give it to you.” And that is how God’s little piece of paradise became Costa Rica. 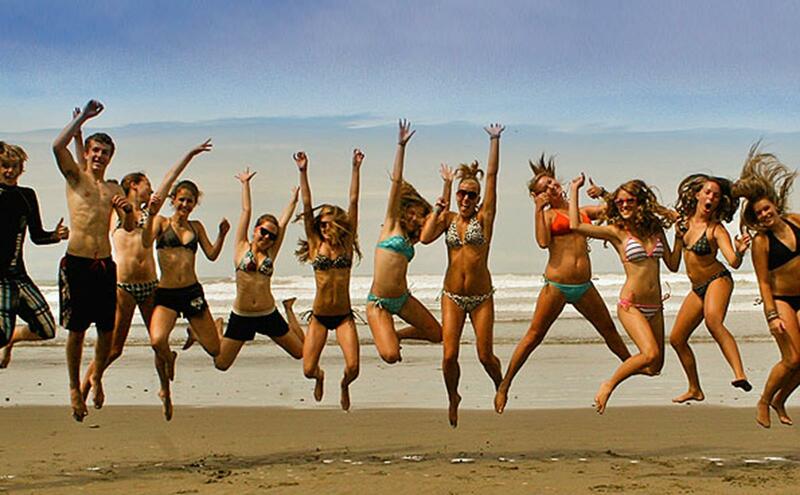 Located in the isthmus of Central America, between Nicaragua and Panama, and just about the size of Western Virginia, Costa Rica is an ideal destination for student group travel programs. Despite its relatively small vertical and horizontal spread, Costa Rica’s elemental location is the key source of its incredible diversity. Costa Rica has twelve different life zones spread over dry flat lands, marshes, low jungles, four mountain ranges with seven active volcanoes, innumerable major rivers and estuaries and is tucked between the Pacific Ocean and Caribbean Sea. Five percent of the world’s biodiversity is contained in this small area, and that includes 850 species of birds, more than 30,000 species of insects, 208 species of mammals and 9,000 and counting species of plants, all dreamy topics of investigation and education for an ecotour. Better yet, due to its small surface area, it is easy to witness and learn about all this biodiversity in short distances and little time. Teachers or trip leaders should feel confident about bringing students to Costa Rica for other reasons as well. Firstly, Costa Rica has protected over 30% of its national territory as national parks, preserves, and wildlife refuges since the late 60’s. Today, almost all ticos embrace a healthy environment as something essential for our subsistence, and thus environmental education is a prevailing topic on school trips. Secondly, there are only two seasons during the year. The dry season runs from November through April (a perfect escape for winter break!) and the wet or “green” season runs from May through October. But anytime is a great time to plan your travels, because during either season you are guaranteed to watch the tropics in action. The third reason is that Costa Rica is in relative proximity to the US, and is accessible from there and Europe via direct flights to and from various major cities. Fourth, Costa Rica has been a politically stable country for many years. The lack of military and the overall friendliness of the Costa Rican people have generated tremendous confidence in visitors for over two decades. In fact, according to the New Economics Foundation’s Happy Planet Index, Costa Rica qualified as the happiest country on the planet. So despite the creepy crawlies, the different language, and the often considered backward ways, stepping out of your comfort zone might help you redefine your own happiness. Tourism has been one of Costa Rica’s leading sources of income for more than 20 years. The influx of international travelers has opened the country’s eyes about international service and safety standards. The government and private sectors have introduced new procedures and policies to ensure a quality experience here for all. Small rural hotels run by community cooperatives for example, have created an entity that ensures they will provide good service, adequate accommodations and an overall comfortable and educational experience with a cultural hint. On another positive note, the government, in an effort to standardize the tourism sector and ensure qualified professional guides for all tourists, has requested that all tour guides be licensed by the Costa Rican Tourism Board (ICT) . In order to obtain this license, aside from taking a plethora of natural history, art, geography, science, and folklore courses, potential guides must become CPR and first aid certified, take a course on etiquette and human relations, and various others. A professional adventure agency or outfitter will also require all trip leaders to partake in a personalized staff training in which company standards, policies and procedures are covered. 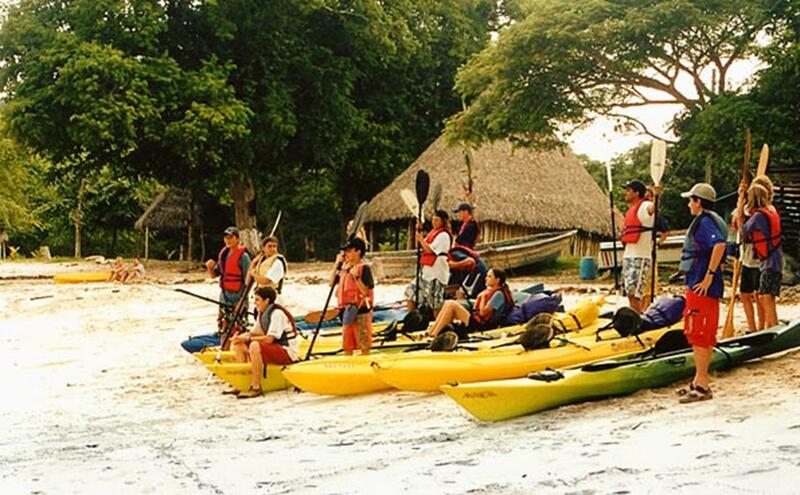 Adventures Under the Sun Costa Rica, for example, goes beyond and trains their trip leaders about group management topics such as adolescent issues and teen travel matters. Costa Rica has been a mecca for species exchange for centuries and this includes the human race. The resulting cultural swap has emitted a wealth of ideas for the tourism sector. Today, lodging choices abound and can go from ecolodges or community posadas, or from five star to rustic hotels. The options for an educational agenda are infinite. 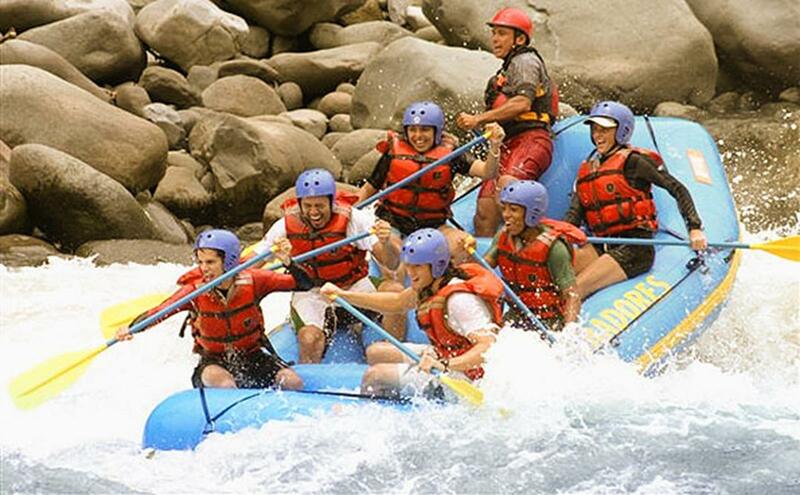 And adventure… well, you name it, and Costa Rica’s got it, except for those that involve snow of course! From surfing to rafting, kayaking in rivers, lakes or oceans, short day treks to multiple days treks, zip lining, canopy tours, canyoneering, horseback riding, diving, cave spelunking, inner tubing, wind surfing, stand up paddle boarding, parasailing, and even grass boarding! With so much to offer in such a small area by a population so willing to give, Costa Rica is a paradise for student travel programs.